Call 877-242-3136 and purchase this item for $230.00 with our "Advanced Replacement" option. 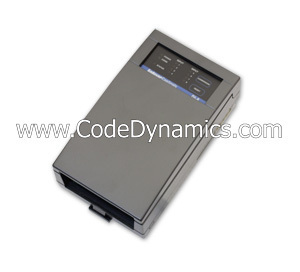 each can be software configured to accept a digital (contact closure or 0-5 volt input) or counter signal. Counter frequency is 10 Hz on all eight inputs. In addition, high speed counting up to 10KHz max. 40 V bipolar transorbs on all eight inputs protect against high voltage short duration transient events.